Truecaller is a mobile application that delivers an experience which surpasses the limits of today’s phonebook. The app is known to provide the right information at the right time in regards to people and businesses. Truecaller gives access to contact information based on a name or number. All users have to do is type in the name or number that they are looking for and the app will offer accurate information. Truecaller also identifies all incoming calls and bars calls that you may not want to answer or receive. With this app, you can be sure that you will always have the right contacts every time. Apart from spam blocking, Truecaller also offers a list of comprehensive records. Developed by two engineers who wanted to make a difference in the world of technology, Truecaller stretches its service to all corners of the world. Truecaller is all about giving and taking. If you want the app to be effective on your phone, you will have to give it total access to your phonebook. While most users may have privacy concerns, they can rely on the fact that the contacts that Truecaller has access to, is unsearchable by users. After the app gains your permission to access your phonebook, it processes your information with that which the app found on other phone books. This is referred to as crowd-sourcing. The gathered information is worked on using artificial intelligence and predictive technology that automatically matches names and numbers. Truecaller comes with an abundance of features. First is the powerful caller ID app. You will be able to know who is calling you as well as where the caller is from. Truecaller does not display “private number” or “anonymous on incoming calls. As an app user, you will also not be subjected to wet-blanket calls. Apart from the identification of spam callers, the app also blocks them, you can also be able to build a blacklist and add it to your already existing list of spam callers. Whenever anyone on your blacklist tries to contact you, they will hear a busy tone on their end. On your side, you will not hear anything. If you do not want to accept these calls, you can let then go unnoticed. On Truecaller, you can search for any number or name of your choosing. When you type in a number into the app, you will be able to view a name that is attached to it. In most cases, the app is accurate. The app also has a name or number rendering option where you type a name and the app returns several matches. It does not matter where you copy a name from, Truecaller will always give you all of the relevant matches. Truecaller works more like a phone directory but with much more power. Want to chat with your friends and family? The smart messaging feature will certainly come in handy. With free chat options available, you can easily communicate with your friends and family. You will be able to automatically identify every unknown SMS on your phone as well as block spam texts. 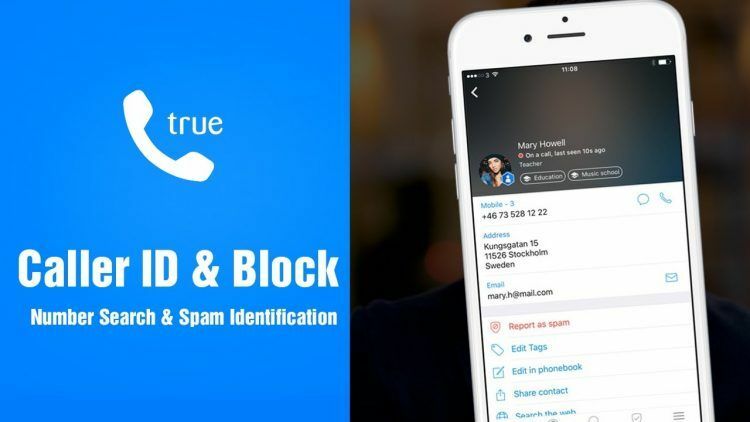 You can trust Truecaller because of these two philosophies- your contact information is already up there and you do not know who has access to it. You should take advantage of the app as you will truly benefit from its features! Go to the search box in Bluestacks and type “TrueCaller” without the quotes, of course. That is it! You can now enjoy your freshly installed copy of “TrueCaller” on your favorite PC!